A & J Fencing is a family owned custom fencing company and deck builder that has been servicing Walnut Creek and the East Bay area for over a decade. We have been providing our community with quality fencing, redwood products, and various other outdoor construction projects for over a decade. In addition to our hardworking employees and high-quality redwood materials, we also have a 15 year warranty and maintenance program to deliver the highest customer satisfaction. 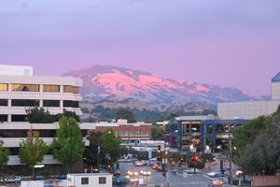 We know that Walnut Creek isn’t just about the shopping and great restaurants. This East Bay neighborhood is flourishing with excellent schools, culture, and strong, close-knit families. And what better way to spend time with your family and friends than by being in your backyard and enjoying the comforts of what your beautiful home has to offer. Our range of custom fencing will allow you to make the most of your outdoor space and Walnut Creek’s outstanding weather all year long. Contact us today about your Walnut Creek fencing needs.